Common Question: How to Become A Personal Trainer Without A Certification. Ask for a personal training session at the gym and you will get tons of promises in return of a quite expensive personal training sessions. I am not saying that all personal trainers are same and will not give you the results that you dream of. But think about it, DO YOU REALLY NEED A PERSONAL TRAINER? All those advertisements about best weight loss programs and tons of exercise program may attract you in starting but one thing that will make you stand on that path in long run will be your determination. Nowadays there are many personal trainer apps available and all of them guarantee to help you lose weight and you can try them for a couple of weeks for free and then continue with either a monthly/quarterly/half yearly/annual package. So you will pay someone to force you to workout? It is your body that needs your attention and you can at least start with basics and then if required you can go for paid courses and sessions. Yes, they are successful and give results but if you give it some time and do a bit of research then you will realize that it is not that difficult to cross the beginner level. 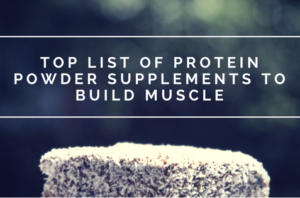 All of us are not in the run to become a bodybuilder and not necessarily require a personal trainer. Some people join the gym and they need a personal trainer to even get familiar with the basics of workout ( yes, they do exist) and it is not at all bad but sticking to the habit of working out only in the presence of your personal trainer is not good. We here at BIZZYbutFIT want everyone to become a personal trainer and help themselves and rest of world to be busy but fit. 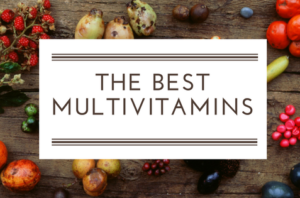 There is immense knowledge available for free on the Internet that you can read about, watch videos, join fitness websites/forums/blogs and get your queries answered for FREE. Rather than only being a personal trainer, be a personal busy but fit motivation for everyone so that they keep a track of their health themselves and become more eager to become busy but fit every day. There are many indivisuals in the gym on in the sports, who are not certified trainer or coaches but are aware of the things that revolves around that particular sport or workouts. If your goal is to be busy but fit then these people are your best personal trainer. You may seek guidance from a personal trainer while doing a particular exercise to get assiatnce in doing that workout in proper form but do you really need a personal trainer for that. Not all the trainers working in the gym have certifications or a degree that qualifies them to become a personal trainer.You cannot match the quality of a certified doctor/dietician which have specific roles, responsibilities and guidelines they must adhere to by law, no such regulations or laws exist for personal trainers. My point is to make you relaize the importane of being busy but fit. We want to become your personal trainer for entire life to motivate you for the rest of your life and we do not need a certification to motivate anyone in this world to be busy but fit. We dont want you to lift heavy weights (when you don’t like it at all). So if you become a non certified personal trainer and more of a motivator make sure that you dont get pumped and even dont pump the other guy to do a big deadlift and hurt their back becasue you dint train them on form. It is really a good thing if your goal is to get a six pack abs and I will really appreciate and will be more than happy if you reach your goal. But six pack is not the only goal that everyone dreams of. Recall all your office colleagues and make a count of how many of them have a six pack or you think will be able to get a six pack. But believe me workout partners/friends/buddies can help you stay motivated and commited to be busy but fit. 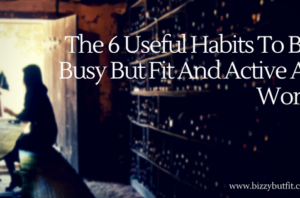 We here at bizzybutfit are trying hard every day to make a community of all busy but fit people who have just started their busy but fit journey or have mastered this art of being busy but fit to inspire rest of the world to be on the path of being busy but fit. It is not necessary for you to have a six pack or have a wolverine like physique to be a motivation for someone. 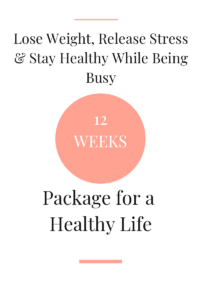 Everyone has a different lifestyle and we are not aware of his/her problems that they are facing in their personal life so we jsut cannot tell them to change their diet and get on to the horse for 8 weeks or 12 weeks and show us this amazing transformation. It depends upon person to person, how they want to do it and that is why we want to keep it very simple for all of you. If you are working out from past few years and are aware about the basics or advanced workout techniques then do not wait and lend a helping hand to everyone in the gym who is not doing the workout properly. 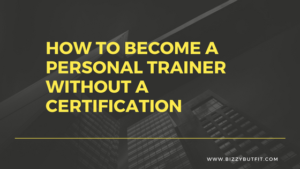 So ideally you become a personal trainer without a certification. As soon as you become a buddy personal trainer you become a motivation for those who shy from gyms when solo.It is very difficult to Find time to workout when you have spent a whole day at job or if you have kids. So it will be a win win situation for you if your not certified personal trainer is around you to motivate you to kill that lazy feeling in your mind and pump you for a workout session. 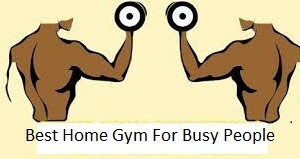 It will be good if someone as busy as you (but busy but fit)becomes your personal trainer.Becasue the person who is as busy as you,would understand your situation much better and will be able to give you the best ideas and the ways to be busy but fit and it would not matter wether he/she is certified or not. You should consult a doctor/dietician when thinking about making major changes in your diet becasue they are more aware. It is always advisable to get yourself examined by doctor before bringing any drastic changes in your diet because there may be a case where in you may have accomlished your weiht loe goals but might also face adverse effects afterwards. So you all can become a personal trainer without a certification and help your friends to be busy but fit becasue the most important element that is missing in everyone is the MOTIVATION. So be a personal MOTIVATION trainer for everyone busy around you and assist them to be busy but fit. Type in your comments in the comment section below and share your personal MOTIVATION trainer experience. Like and share this post on Facebook,Twitter,Google+ & Instagram. Everything is very open with a precise explanation of the issues. It was really informative. Your website is very helpful. Thank you for sharing! Hi , Thanks for the appreciation. I am glad you liked the post and it was beneficial for you.